← Central Chile: La Serena Curry Master, Pisco in Elqui Valley, and Danny! 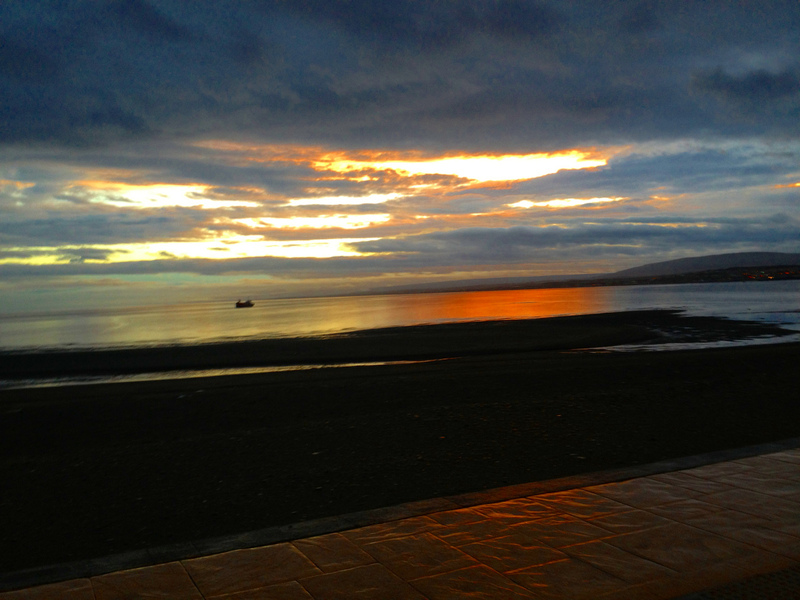 Rose was already at the hostel when we arrived to Punta Arenas; she made a 25-hour journey from the US. She had made quick friends with others guests and the staff in the hostel, as they warmly spoke of Rosita. We started making preparations for the highly-anticipated portion of our journey. Although at the time we weren’t quite sure what we would be in for, good company and the prospect of the end of the world would sure prove to be an experience of great adventure. The distances between landmarks in Patagonia are quite far apart, and the transport logistics in a remote place potentially stressful. 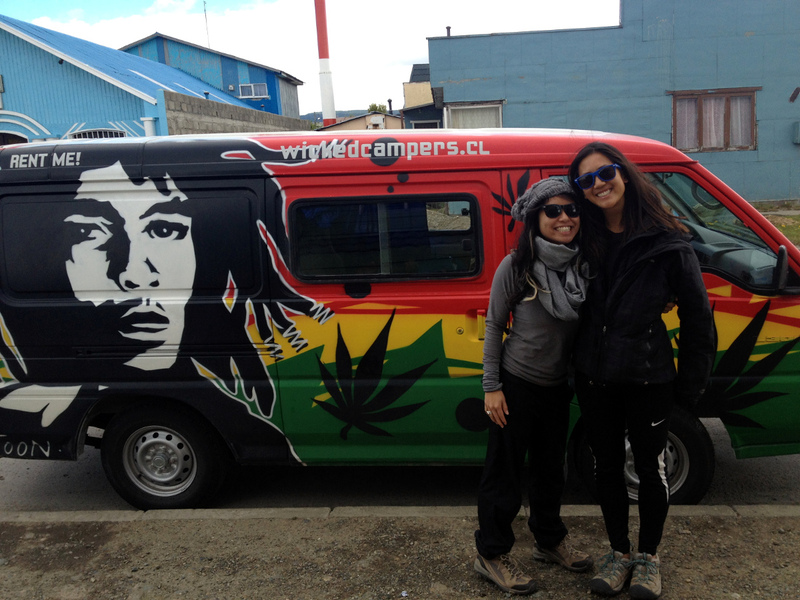 We rented a Wicked Van to be our vehicle, hostel and restaurant for the next 18 days; we would traverse a little pocket of Patagonia by Marley. Marley turned out to be a converted 12-passenger van equipped with a stove, convertible bed/table space, and most importantly – an AUX cable. The best part of Marley was his exterior – painted in bright green, red and yellow, a big tiger face on one side; Bob Marley with marijuana leaves adrift on the other; and a bold İLEGALIZACIÓN! on the back guaranteed consistent drug-dog searches each time we crossed the border. Marley is a manual, which secured Matt’s post as captain/driver. DJ Rosey-Rose had a keen sense of the appropriate music for the mood of each drive/meal (Matt’s punk-rock-182- just no). I enjoy cooking, so BAM, we had a team. We were only 6km outside Punta Arenas before stopping for lunch next to the Straights of Magellan. Ready to drive on, the car battery had died! At the bottom of a hill and no prospect to push start, Rose and I set out to find a kind soul for help. The instant we saw a car, it pulled over! Surely this had to be a record! An elderly man in a beret had come to our rescue. As time would tell, this would not be the only time Matt forgot to turn off the lights (in his defense, lights are required at all times in Patagonia and our car doesn’t “ding” to signal they’re still on once the car is turned off). Fortunately, the drivers in Patagonia are amazingly generous humans, and we had a flawless record of first-car help the entire trip (what if we had sent Matt out there, I wonder?). Patagonians like to joke that their #1 tourist attraction is the wind. The wind blew up to 100+ kph (60+ mph), sometimes leaving Matt’s arms fatigued from battling the steering wheel which would often look like he was making a left turn while the car was traveling straight. When the wind unleashed her full fury, bikers were forced to dismount and push their bikes, as the wind threatened to topple them over. Wind-induced injuries include black eyes and cuts. 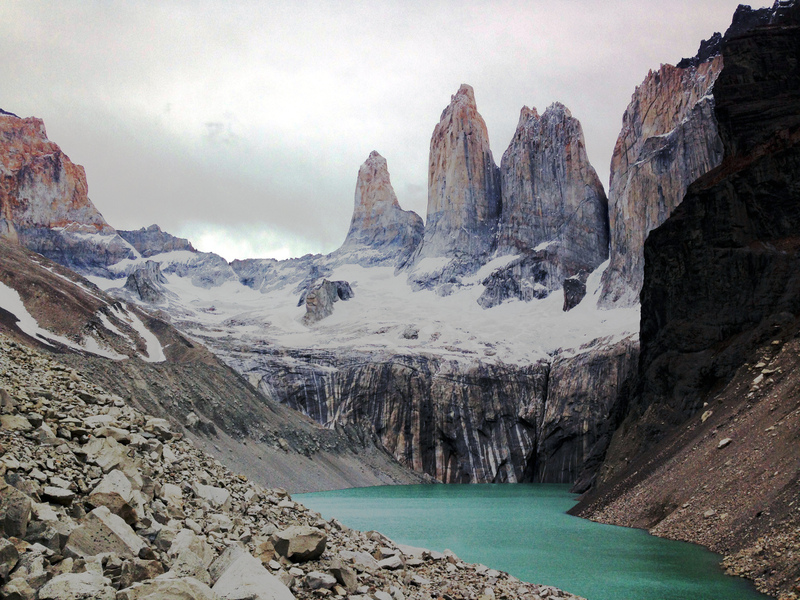 Rose met a girl who had stitches on her brow because the wind had slammed her into the ground while she was trekking in Torres del Paine. Many areas were inhabitable for anything taller than a shrub, but when a tree did manage to grow, the trunks would often appear to be growing parallel to the ground. Weatherman Matt explained that this was due ‘Roaring Forties’, high westerly winds south of 40 degrees latitude created by the earth’s spin and large tracts of open ocean. 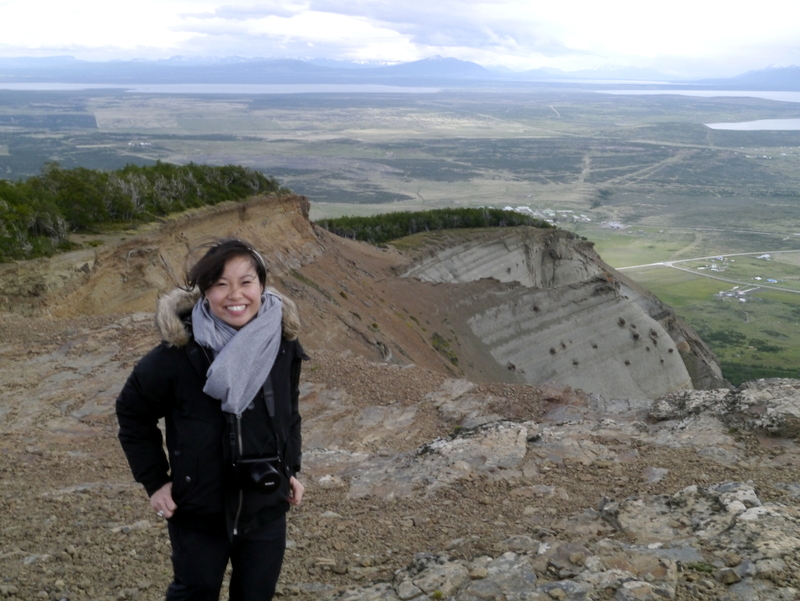 We went on a little warm-up hike at Mirador Dorotea up a little lookout overseeing Puerto Natales. The trailhead started from a couple houses and the sweet lady living there was apologetic that she didn’t have any coffee or tea available. She gave us a packet of vanilla cookies to enjoy. Windy at the top, this would only be the first of many wind-swept photos. By the time we reached Puerto Natales, most the shops were closed. We needed a plastic jug for gas – we were warned that the gas stations may run out of gas before the next delivery truck was scheduled. Dinner was cooked and served in an abandoned gravel lot. Locals and tourists alike would stop and (sometimes ask for permission to) take photos of Marley. Our car was a celebrity starting day 1 and throughout the entire trip. The beauty of having our bed = our car was that we didn’t have to rely on finding a place in town but instead were able to find the most beautiful spot next to a lake, river, mountain and set up camp for the night. Matt, growing up in small town Texas left him with paranoia of Texas small town cops, was always sure to park Marley’s good side (sans pot leaves) facing the street. The next morning we expected to get gas in Cerro Castillo, only to find that the gas station icon on the map meant that the man sold gas from a 5L canister. We would have to backtrack to Puerto Natales after visiting Torres del Paine, but the important point to this story is that the owner fell in love with Rose through the backseat windowpane. This will become important a few days later. 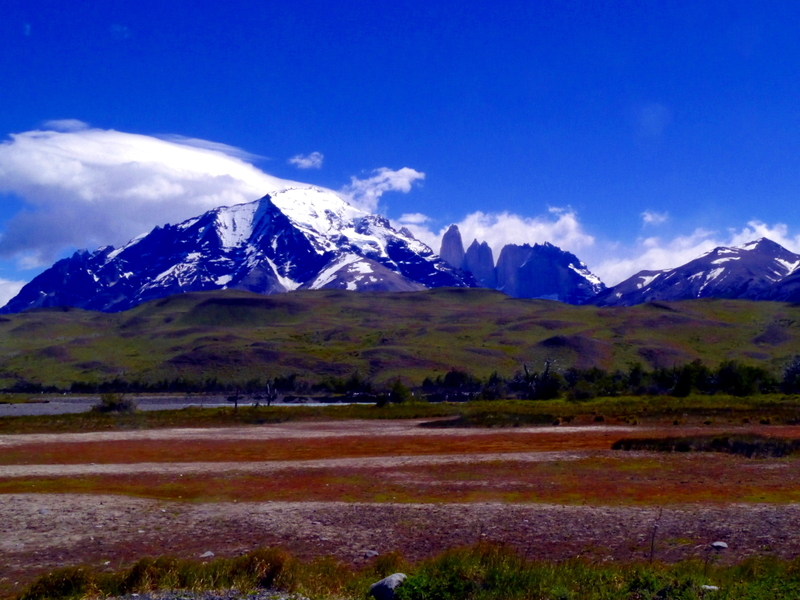 Errands done, we were finally to our first destination, Torres del Paine! Matt was a great captain, racing ahead of the tour groups. By the time we started hiking, it was just after noon. We heard conflicting estimated times for the trip, so we went to clarify with a hotel concierge (we had parked at a fancy hotel at the base of the W trek). She affirmed 5 hours roundtrip to the mirador (lookout point), so we estimated 7 hours worst case scenario. Rose was still recovering from a knee injury so we would be taking it slowly. We had considered bringing our camping year, but tempted by the relatively short hike and warm van-bed, it seemed like we’d be back in plenty of time for dinner. Each step was a mirador! Our first big hike was full of scenery, friendly hikers, and Rose’s knee was doing well. The 4 hour mark came and went, and we were still hiking uphill. We asked those on the way down how much longer? The last 30 minutes of the ascent was over a rocky, steep incline. Rose found a sturdy walking stick, Milo, to help for this last portion. Nearly 5:15PM, 5 hours from the parking lot, we had finally reached the top. 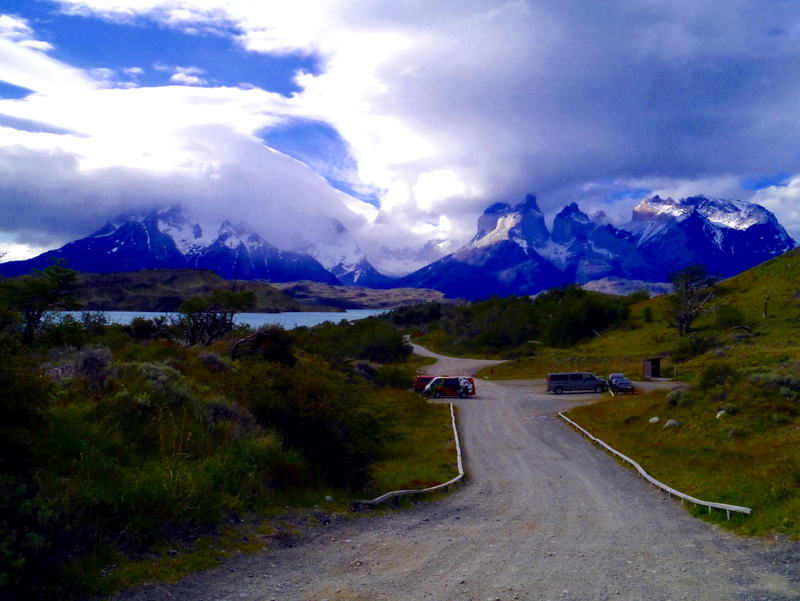 Greeted by the famous park’s namesake, three peaks called Torres del Paine (Towers of Paine), overlooking an icy-blue glacial lake. We made it! Something had been lost in translation, and what we thought was 5 hour roundtrip was actually one-way. Maybe we should have taken our camping gear? Thankfully, daylight extends past 11PM in these parts, as in November it is still nearing the Southern Hemisphere’s summer equinox. Rose was an absolute champ, with the first and both longest/steepest hike of the trip in one day without complaint. With Disney/90’s songs for fuel and the promise of hot chocolate in our near future, we trekked down the mountain. We passed the campground and reached the bottom at last light. Hot chocolate has never tasted so glorious (que lujo! ); a live Chilean folk band was icing on the cake. We camped outside the hotel and had a good night’s sleep. 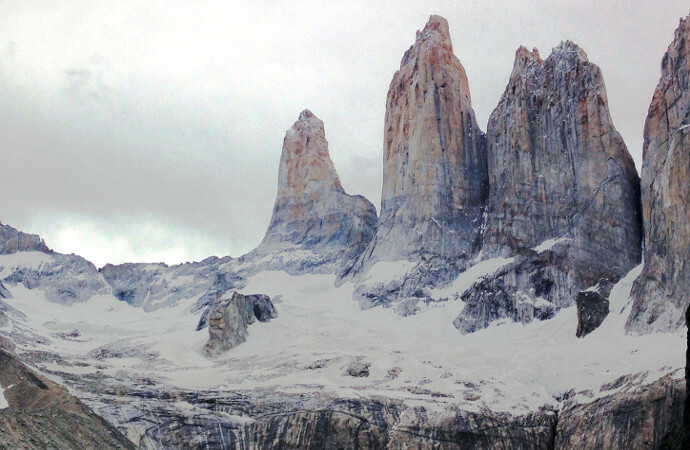 The next day, Captain Matt navigated around Torres del Paine National Park stopping at waterfalls, lakes, and short hikes to lookout points. The wind asserted its power as we took turns laying down into the wind only to find ourselves fully supported and sleeping on air. We backtracked to Puerto Natales for extra gas canisters and camped in the same spot we had slept the first night. After a leisurely breakfast, we headed back towards Cerro Castillo, our first border crossing. The Chilean border patrol were on strike for higher pay. The strike workers only worked for an hour before lunch and 2 hours in the afternoon, leaving a long queue of buses and cars. The one or two personnel on duty themselves weren’t quite sure of the process. After much back and forth, we managed to make the one-hour exit window! After the bumpy unpaved 6km no man’s road between Chile and Argentina’s border control, we were excited to enter the land of tango, churrascerias, and the Dolar Blue. We thought the difficult part was over, only to find that there was an Argentina reciprocity fee that needed to be paid online prior to entering Argentina. 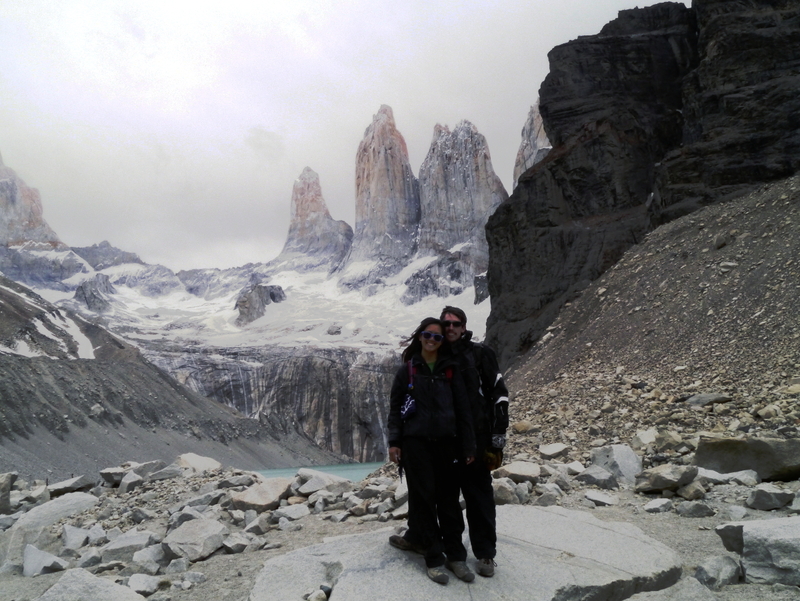 Our tails between our legs, we were back to Cerro Castillo – we were told this little outpost had internet. Rose and I went back through the border to settle the issue. At the register, the man who had given us gas from his 5L canister looked at Rose first with curiosity and finally recognition! She was the Chinita he had fallen in love with a couple days before! Internet access really meant that he tethered his phone to his computer in a back room as he proclaimed his undying love to Rose, offering her a home with him in Puerto Natales. She could be the queen of Cerro Castillo, the lone outpost for 80kms. There were droves of clients from the lunch rush looking for him, but he dismissed them all, saying he was with a very important customer. With a bit of time, an outrageous $160 fee for each person, and a small fight with the printer (thankful for Rose’s days at the university IT desk), we could enter Argentina! 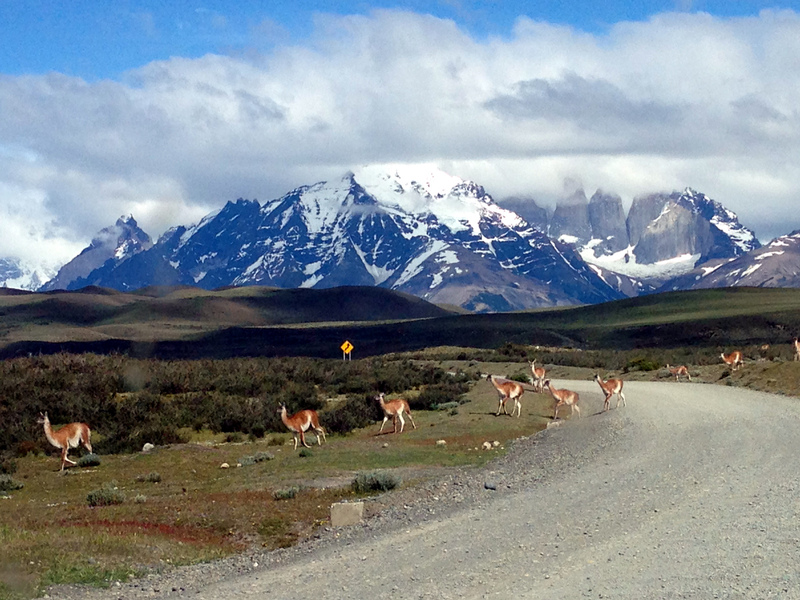 Unceremoniously, we breezed through Argentina’s border, and were on our way.